The Highwaymen will be the subject of a new box set and documentary, both coming in May. The supergroup is composed of four towering figures in country music: Johnny Cash, Waylon Jennings, Kris Kristofferson and Willie Nelson. 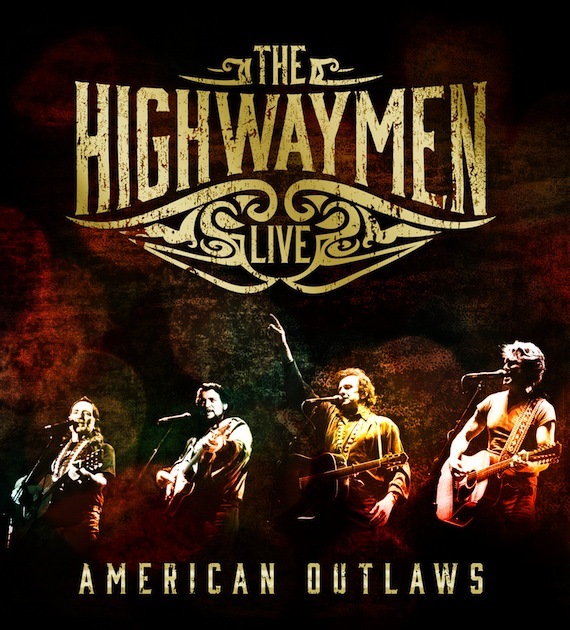 The Highwaymen Live—American Outlaws is a deluxe CD/DVD (or CD/Blu-ray) box set of concert performances due May 20 via Columbia/Legacy. The box set includes: a previously-unreleased full-length concert film recorded at Nassau Coliseum in Uniondale, N.Y., on March 14, 1990 and transferred from the original film reels especially for this collection; two audio discs of music from that concert; and an audio disc with tracks recorded live at various Farm Aid Festivals. As a bonus, the collection debuts a previously-unreleased recording of Bob Dylan’s “One Too Many Mornings.” A version of the song sung by Cash and Jennings appeared on their 1986 collaborative album, Heroes. Nelson and Kristofferson recorded new vocals for the track in 2014. Those vocals, produced by Mickey Raphael and remixed by Tony Castle, are now included on the recording. The box set includes a booklet featuring new liner notes by noted music scholar and journalist Mikal Gilmore. Meanwhile, American Masters—The Highwaymen: Friends Till The End, a new feature-length documentary, premieres on May 27 on PBS. The group’s story is told through vintage performances and new interviews about life on the road and in the studio. In addition, The Highwaymen: Live At Nassau Coliseum (a special broadcast edit of the concert film featured on the box set) will be part of special programming premiering on PBS stations as part of June Pledge 2016. Columbia/Legacy will also release a new single-disc compilation, The Very Best of The Highwaymen, on May 20.